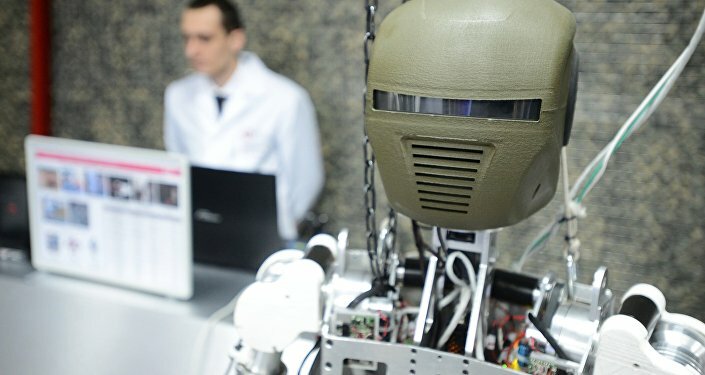 July 4 – During the upcoming Army-2016 International Military-Technical Forum outside Moscow, Russia will showcase its very latest robotic technology. Participants of the Forum will have a unique opportunity to experience an integrated presentation in a dynamic program at the Russian Armed Forces’ Alabino range and Kubunka airfield near Moscow. The “dynamic” demonstration will show off military robots, all …designed and made in Russia, engaging in demining operations and demonstrating their speed and maneuverability in modern warfare. The list of state-of-the-art robotic systems on display will feature, among others, the Nerechta robot system, the Avtorobot unmanned transporter and the Shershen unmanned aerial vehicle. Visitors to the static display sector will have a chance to see a prototype of the Kobra-1600 mobile robotic system, which is part of a mobile demining complex adapted for use in cities. The Army-2016 military-technical show will run from September 6 through 8 at the Patriot Congress and Exhibition Center of the Defense Ministry’s military-patriotic park in Kubinka. 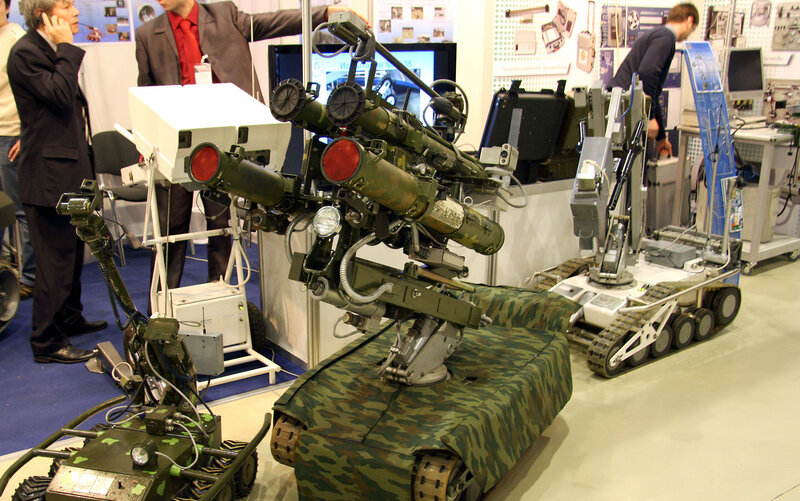 The past few years have seen the advent of a number of track-type battle robotic systems armed with machineguns and anti-tank rocket launchers. 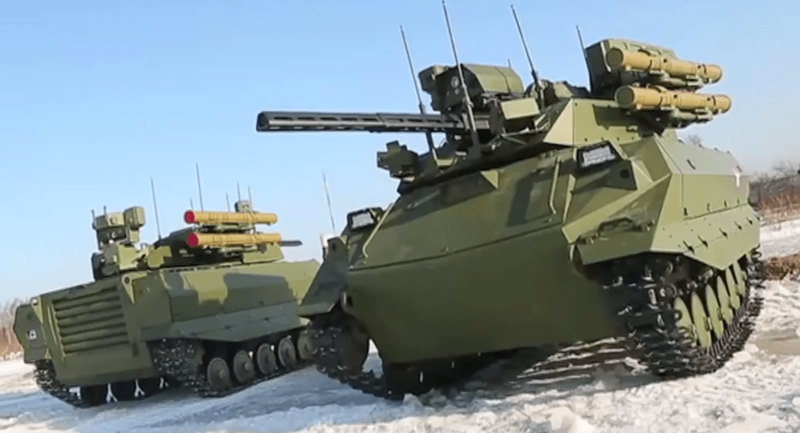 Some of them, such as Platforma-M and Uran, are now being actively tested in the Russian army. Delegations of defence departments of 35 countries have confirmed their participation in the II International military and technical forum “ARMY-2016”. Russian Defence Ministry sent official invitations to more than 100 countries. Foreign companies will also present their products and developments at the “ARMY-2016” Forum. As part of the military and technical forum, three national expositions of Belarus, Kazakhstan and Armenia will be deployed. Directorate of military representative offices of the Russian Defence Ministry is to present exposition demonstrating structure and main tasks of the Directorate, and the history of military quality control system at the II International military and technical forum. The Directorate is working with companies of defence industrial complex on their participation in expositions of the Forum, where the institute of military representatives is playing key role in organizing cooperation between military control bodies and industrial companies. International format of the Forum ARMY-2016 and high interest of foreign gusts in Russian military hardware is the evidence of total control of the armament and weapon quality controlled by the Directorate. “Hardware, which is to be demonstrated at the Forum, has been followed by military representatives. That is why it is reliable,” said Chief of Directorate of military representative offices of the Russian Defence Ministry Colonel Oleg Stepanov.